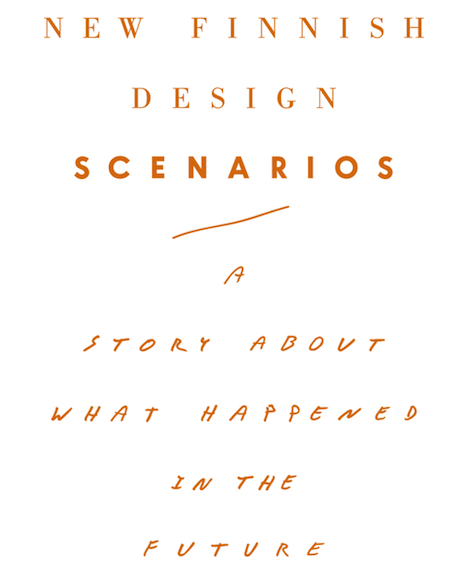 I am a design researcher, strategist and storyteller. In our increasingly digital world, it is a truism to say that traditional models of advertising and marketing are insufficient to the task at hand. But what does this mean, if anything? Engagement is the buzzword of the day, and organizations and agencies are falling over themselves to figure out how to connect with their audience through social platforms and mobile applications. Advertising campaigns are augmented with interactivity (albeit often as an afterthought), and ‘content marketing’ is breaking down the line between advertising and storytelling. In some cases crowdsourced content has become intrinsic to the story, most famously leveraged in Weiden+Kennedy’s Old Spice campaign (though there are numerous other examples out there). All this is good, and important, and often fun. 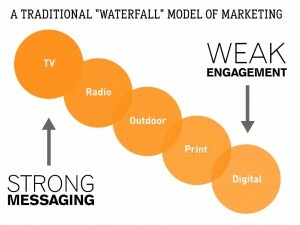 Building digital brand engagement is an essential component to contemporary marketing campaigns. But it’s only half of the equation. Clear back in 1999, the first thesis of the Cluetrain Manifesto was that “markets are conversations.” By definition, a conversation has to go both ways; it’s not enough to encourage your customer to act as a megaphone. 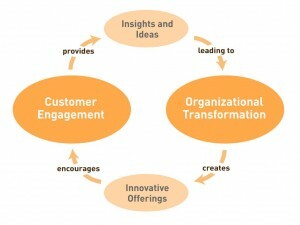 And the other side of the conversation (when it comes to customer engagement) is organizational transformation. From the agency perspective, there is as much or more opportunity in helping clients to build increasingly valuable relationships with their customers than there is in just promoting their existing products and services, and this opportunity is especially pertinent for agencies with their roots in digital. Taking advantage of this opportunity requires a radical reconsideration both of the role of the agency and of the purpose and methods of marketing. At the end of the day, in some ways it hasn’t changed at all; agencies are still building brands, making connections, and telling stories. It’s just that the nature of the stories is different. At the most fundamental level, effective marketing has always been rooted in understanding the customer (or potential customer) and providing them the information to make an educated decision. Naturally, there is an element of the showman and entertainer as part of the process. We want to be part of brands that represent the aspirational parts of ourselves, that seduce us and make us feel connected and clever and witty and better looking. But, you still have to deliver the goods; a brand promise is only as good as the ability to deliver on the that promise. The worst of advertising comes from setting false expectations. As P.T. Barnum said, you have to attract them first, and then please them. In the mass marketing era which has defined the bulk of the last 60-plus years (and which we are arguably on the tail end of), campaigns focused primarily on broadcast television, radio, and newspaper ads. According to this model, getting a product adopted requires taking creative (or not so creative) ideas and putting them out there with sufficient frequency and reach to hit the audience. It’s a one-way push model, it moves from from the top down, and it’s more or less one size fits all. The traditional components of the marketing model aren’t going away; creative ideas and design are as important now as they have ever been. But the advent of digital culture has changed the equation fundamentally. Social, mobile, local. Organizations (and their agencies) are looking for any opportunity to engage with customers and potential customers, encouraging them to promote their brand and tell their story. The drivers to adopt these approaches are numerous, as the methods of media distribution and engagement change radically and fundamentally. 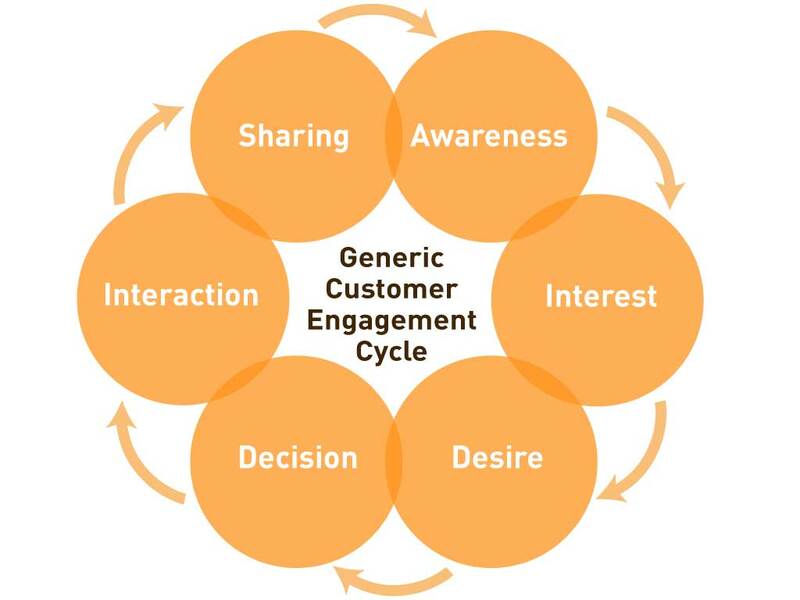 In this environment, engagement models have become an essential part of the process as we seek to understand customer behavior and touchpoint opportunities. 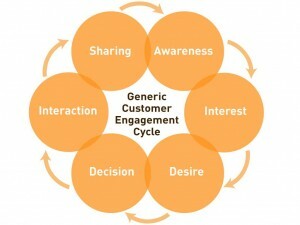 But too often the drive for engagement is a superficial add-on to the traditional marketing cycle. Concepts come from broadcast and print and are then extended to serve the interactive opportunities (“Add your thoughts on Facebook!”). Or, unique interactive content is created with the primary intention of developing a case study or video to tell the story later. Consider Google’s “Project Re: Brief” Coke ad, as imaginative and technically innovative as it is, was never going to fundamentally change google’s business. It was designed from the start as a “behind the scenes” video with no intention of rolling it out more broadly. Though engagement should be more than an afterthought to an idea or an opportunity for a sound bite, it’s more difficult than it first appears to build a framework that includes the audience in the process. What is traditionally one-way has to become a two-way, a highly controlled presentation of ideas has to become a conversation. This is always a challenge for organizations, who want to present as consistent and unblemished a picture of themselves as possible, and also for their agency partners, who want to tell the story without interference or distractions. 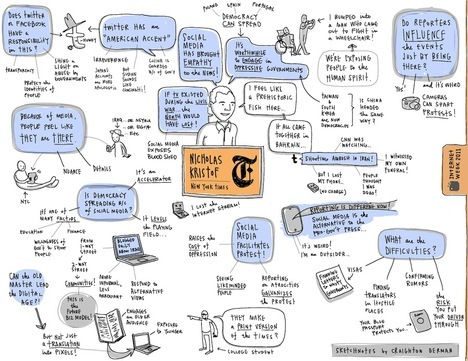 Getting a superior understanding of customers (better customer insights). He goes on to say that “a customer experience is a blend of the physical experience across many moments of content (or moments of truth).” and “Every touch is an act of branding.” Or, as designer and author Clement Mok has said, “the experience is the brand.” For companies to build meaningful engagement with their customers, they also need to embrace the transformative potential (and risks) inherent in this increasingly transparent approach to business. Digital agencies, with their focus on creativity and technology, have increased opportunities along with increased responsibilities, and must be able to take a newly holistic and strategic approach to developing and implementing ideas. Insights and Ideas have to come from a combination of real insight and honest listening. 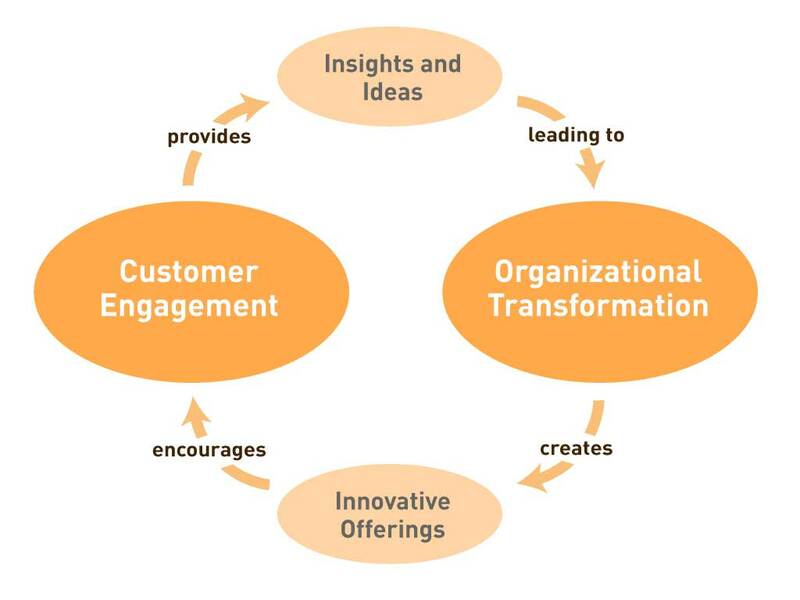 Building customer engagement and driving organizational transformation requires more comprehensive understanding and sensitivity, while still knowing when to take the chance on a strong idea. 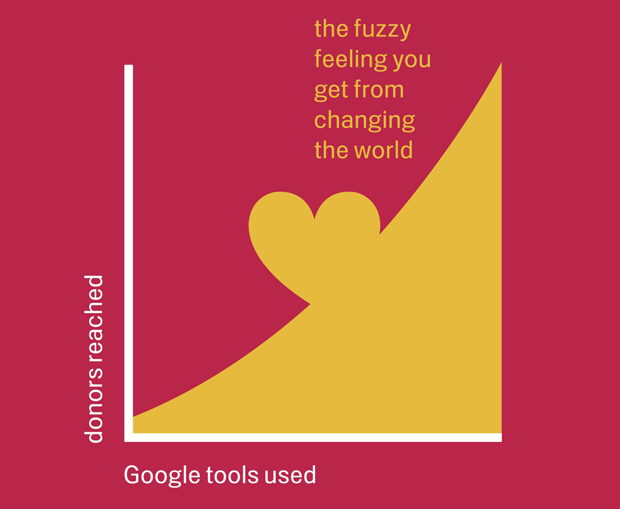 Perhaps the biggest change of all is a change in focus; instead of looking to build artifacts (whether products, campaigns, or services), the new focus in on building platforms. Platforms for feedback. Platforms for co-creation. Platforms for engagement. Platforms for transformation. Why Build a Custom HR Recruiting Website? Which is Better, Custom or Off-The-Shelf? There are a constantly expanding number of HR Recruiting solutions on the market. Just about every day it seems there is a new SaaS or Cloud product that claims to provide the perfect talent acquisition solution. Given all these ‘out of the box’ alternatives, why should your company create a custom digital solution for your HR recruiting needs? The truth is that if all your organization is looking for is baseline functionality at a low cost, one of the ‘out of the box’ solutions may be good enough to meet your needs. Openings will be posted, applications will be submitted, and (hopefully) jobs will be filled. But, if you want to go beyond the functional baseline, a custom, integrated solution will almost certainly be more valuable, and in the long term will prove to be more cost-effective as well. Off the shelf solutions, by their nature, offer a standard framework and structure which limits the opportunity for customization. A custom solution provides better integration on the front end (without sacrificing backend functionality), which offers significantly better opportunities to tell the right story, to the right potential employee, at the right time. By showing off your brand, your culture, and your community in an integrated context, your organization is better poised to achieve your recruiting goals. 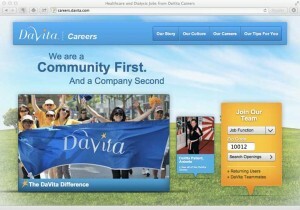 The1stMovement recently launched the careers website for Fortune 500 healthcare provider DaVita (you can visit the site at careers.davita.com). With over 40,000 teammates (or employees) in locations throughout the United States, and nearly 2,000 positions available at any given time, DaVita needed a solution that would be scalable on the front-end while also integrating seamlessly into Taleo, their backend HR Recruitment system. 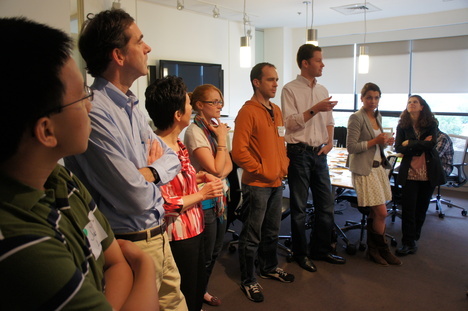 Equally important to the DaVita team was developing a solution that tells the story of the company’s unique culture. At DaVita, the company philosophy is summed up in the phrase, “we are a community first, a company second.” Potential teammates need to understand the unique culture to be able to self-select if they may be a fit with the mission and core values, or not. The solution our team created for DaVita is uniquely successful on a number of levels. First, it serves the needs of the organization by providing a fun, engaging, and shareable site, dynamically updated with real-time and relevant content. Second, it is designed to work for the breadth of the audience by using a combination of responsive web design (where a single site is optimized for devices ranging from mobile to tablet to desktop) and location-based content (based on geolocation). And third, the site works from a business process perspective, as custom APIs allow the site to integrate with Taleo (a popular talent acquisition system acquired by Oracle in 2012) while still remaining on the DaVita site. In short, this custom-designed careers website allows DaVita to capture more qualified applicants through an interactive storytelling experience and more user friendly application process. Since launch, the website has seen an average monthly visitor increase of over 88% and over 49% increase in mobile traffic. A custom HR Recruitment website is not appropriate for every situation. Although there are clear benefits to building a customized solution, it also requires an additional commitment of time and energy from key organizational stakeholders. Someone from within the organization must take responsibility for coordinating and implementing a holistic strategy, and will also need to plan ongoing maintenance and governance of the web application moving forward post launch. What are your organizational objectives? Prioritization is a fact of life, and setting strategic objectives is essential to determining where an organization should invest. Beyond the high level objectives, what are the project success factors and key performance indicators (KPIs)? What is your launch plan, and what is driving the dates? Of course, every organization has a pretty good idea of who they are trying to recruit, but building out a matrix of your target audience (including role and geography) is an important starting point to defining an engagement strategy. Don’t just ask who they are. What do they care about? What technology do they use? What social networks are they a part of? Who do they respect? What is your engagement strategy? Building an engagement strategy is a key part of the process, and generally involves gaining a better understanding of your audience by conducting research and modeling their user journey. User Journey Mapping is a process that involves identifying some version of their values, behaviors, and desires then mapping them to key engagement points. What technology platform are you utilizing on the backend? Many organization are looking for a solution that will integrate with their Oracle (Taleo), SAP (SuccessFactors), or other enterprise level talent acquisition solution. Virtually all of the established solutions support integration through APIs, as do many of the emerging players in the SaaS market. But, it’s important to understand what level of integration you are looking to create. Have you developed a maintenance and governance plan? Launching a website is like planting a garden. You set out a framework and plan, but will still need nurturing, weeding, and more than a bit of fertilizer from time to time. In some ways, it’s more of a beginning than an end. So, is custom the right approach for you? If your organization places a strong value on telling your story in the context of recruiting, if you are looking for a solution that is integrated seamlessly into the overall structure and fabric of your corporate web presence, and if you are looking to increase the quality (rather than just the quantity) of job applicants, then a custom solution is very likely the most appropriate approach. Note: This article is cross-posted at blog.the1stmovement.com, and will appear in the October 2013 issue of HR Magazine.